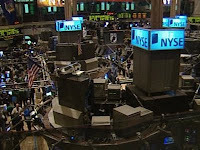 Shares of following companies are expected to see heightened activity in Wednesday's trading session. Early on Wednesday, Macy's Inc. (NYSE: M) reported that third-quarter loss narrowed to $35 million, or 8 cents a share, from $44 million, or 10 cents a share, in the year-earlier quarter. Quarterly sales slipped 3.9% to $5.28 billion while same-store sales decreasing 3.6%. On an adjusted basis, the company reported a loss of 3 cents a share. Homebuilder Toll Brothers Inc. (NYSE: TOL) said Wednesday that preliminary results show that fourth quarter revenue dropped to $486.6 million from $691.1 million in the year ago period. Quarterly contracts rose to $430.8 million from $266.7 million. The world's biggest design software maker Adobe Systems Inc. (NASDAQ: ADBE) on Wednesday announced that it plans to trim 680 jobs, or about 9 percent of its global workforce, in order to cut costs. Prudential Financial Inc. (NYSE: PRU), the second-largest U.S., boosted its annual dividend 21 percent after posting its third straight quarterly profit. The company report third quarter net income of $1.090 billion or $2.35 per common share, compared to a net loss of $118m or 25 cents per common share, in the year-ago quarter.